There are much more interesting, powerful, and creative infographics out there but we don’t know a thing about them just because they were not shared the right way. An uninviting dull commentary, or no commentary at all, and a link with no visuals on your favorite social media won’t bring any substantial clicks, shares, likes. Yeap, it hurts. If you let it to chance when sharing your state-of-the-art infographic online, most likely you won’t reach your audience, and your results will be unsatisfactory, even though the graphics is really good. How to share infographics effectively? 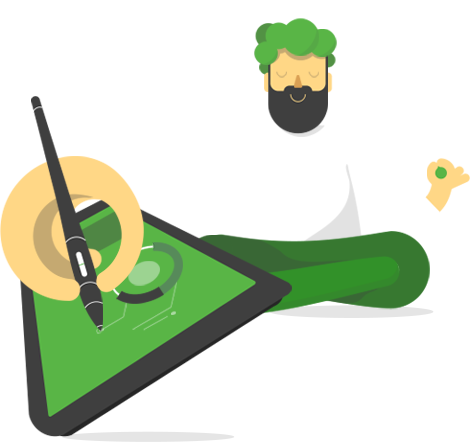 Think of your infographic design as of an artistic artifact, let’s say painting. It does not really matter if you have a masterpiece infographic, what matters is whether you can manage to exhibit that masterpiece in a right place to a right type of audience, otherwise, you’ll end up an unknown artist. So, you definitely need a strategy for posting your content online. As soon as you put the last stroke on your infographics you might ask yourself where to use infographics and when to use infographics? Well, it’s time to put it on the web. Your first choice would be your blog, homepage, or some other page of your website that gives you full control over the content formatting, and your readers’ easy options for sharing. After you published your visualized data masterpiece on your own website, it’s time to spread the word all over the internet! Again, think about painting analogy, if you want to exhibit your work the best way, you need to consider limitations and use advantages of the venue. Same applies to different sharing channels. Mind the peculiarities of your social media platform when sharing infographics and you’ll get the best results. You need a spot, a residence for your infographic where you will direct your audience to. Your website is the best option as you have full control over the formatting of your content, in a word you set the rules. DON’TS: Don’t direct your visitors to an image or pdf file with no navigation options. The main thing with social media channels is that you won’t be able to showcase the full infographics when sharing due to platforms limitations, so the idea is to create an additional content (microcontent). By the way, mind these pixel constraints when creating your original content, plan beforehand. NOTE: if you wish to invest in your microcontent with a boosted post or keeping your copy laconic for optimal effect. Hooray! You can upload your full infographic here!